Western expatriates in Bahrain are being urged to exercise caution after an American woman was stabbed to death in a UAE shopping mall. 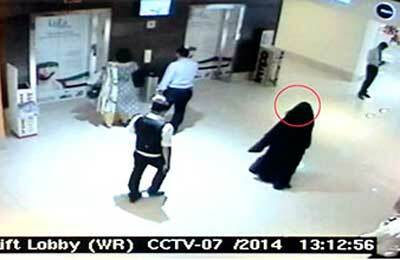 The 37-year-old teacher, a mother of twins, was murdered in a restroom just two days after a Canadian man survived a stabbing at a shopping mall in Dhahran, located in Saudi Arabia's Eastern Province, said a report in the Gulf Daily News (GDN), our sister publication. Mall security footage shows the alleged killer before and after the attack, completely covered in traditional Arab women's clothing, and police announced yesterday (December 4) that an Emirati woman had been arrested - and was also believed to have attempted to plant a makeshift bomb in front of the home of an American doctor in Abu Dhabi. In October, US authorities warned about an anonymous posting on a jihadist website, which called for attacks on Western teachers working at international schools in the Middle East - including Bahrain. A Danish citizen survived a shooting in Riyadh, Saudi Arabia, on November 22 for which supporters of the Islamic State (IS) claimed responsibility. Meanwhile, an American man was shot dead and his co-worker wounded during another attack in Riyadh last month. It is not clear whether any of the attacks are linked, but Western diplomats have reiterated warnings to expatriates about the potential threat of terrorism. “Through our Travel Advisory for Bahrain we are advising Canadians that they should exercise a high degree of caution due to the general threat of terrorist attacks,” Aliya Mawani, counsellor at the Canadian Embassy in Riyadh, told the GDN yesterday. “We encourage all Canadians to monitor updates on the Travel Advisory for Bahrain on a regular basis. The UK Foreign and Commonwealth Office (FCO) is also warning about the risk to its citizens in the region. “There is a general threat from terrorism,” it says in its Bahrain Travel Advisory. The GDN reported last month that the FCO believed British nationals were more likely to be targeted by terrorists abroad after Western-led military action was launched against IS in Iraq and Syria. “There is a heightened threat of terrorist attack globally against UK interests and British nationals from groups or individuals motivated by the conflict in Iraq and Syria,” it said in its update. US Assistant Secretary for Near Eastern Affairs Anne Patterson acknowledged security concerns in the region, but said there had been no specific alerts issued to Americans in Bahrain. “We are certainly concerned about the incidents reported in Saudi Arabia and the UAE, however there are no specific alerts, apart from the standard travel advice,” she said last night, at a media briefing held at the US Embassy during a three-day visit to the country with US Assistant Secretary of State for Democracy, Human Rights and Labour Tomasz Malinowski. “We are quite confident that countries like Bahrain can protect our citizens,” she added. The US Embassy in Manama declined to comment yesterday, while a French Embassy spokesman said it was unaware of any threat specific to Bahrain. “The incidents are reported in Saudi Arabia and the UAE and we do not have any such reported in Bahrain, hence there is no specific alert to residents in Bahrain,” said the spokesman. Meanwhile, UAE-based Gulf security and terrorism expert Dr Theodore Karasik said there was a growing threat from IS in the GCC. “Clearly there is a rising threat in GCC states by IS and lone wolves,” said the senior adviser at Risk Insurance Management, Gulf State Analytics. It was too early to conclude that the murder of the American schoolteacher in Abu Dhabi was the work of IS supporters, he said, adding there appeared to be a pattern to the attacks. “There is a clear pattern to the attacks - the killing of the American schoolteacher not only fits the pattern but also there were warnings of such an attack,” he said. The jihadist call to attack Western teachers in the Middle East was made after Bahrain, Saudi Arabia, the UAE and Jordan joined the US-led air strikes against IS in Syria.